The American Cable Association, a group of about 700 small cable providers, has requested the Justice Department’s Antitrust Division open an immediate investigation into Comcast’s competitive practices after restrictions on its 2011 merger deal with NBC recently expired. The group claims the telecom giant poses a greater threat than the newly merged AT&T/Time-Warner juggernaut. In 2011, the vertical integration of Comcast and NBCUniversal was approved. As is common with mergers that raise significant anti-competitive risks, the DOJ imposed numerous restrictions on the combined company, but those rules expired in September. For example, Comcast was previously required to enter binding arbitration when settling carriage disputes. In a letter sent to the Justice Department on November 6 and published on Monday, the ACA requested that an investigation be opened as soon as possible to take active steps to ensure Comcast no longer needs training wheels to prevent its monopolistic instincts. Comcast-NBCU, in fact, took many opportunities to exercise its market power even though the DOJ and FCC conditions were in effect, supposedly limiting Comcast-NBCU’s behavior. For instance, Comcast-NBCU used its deep pockets to engage in delaying tactics that forestalled compliance with the condition that it carry Bloomberg TV. 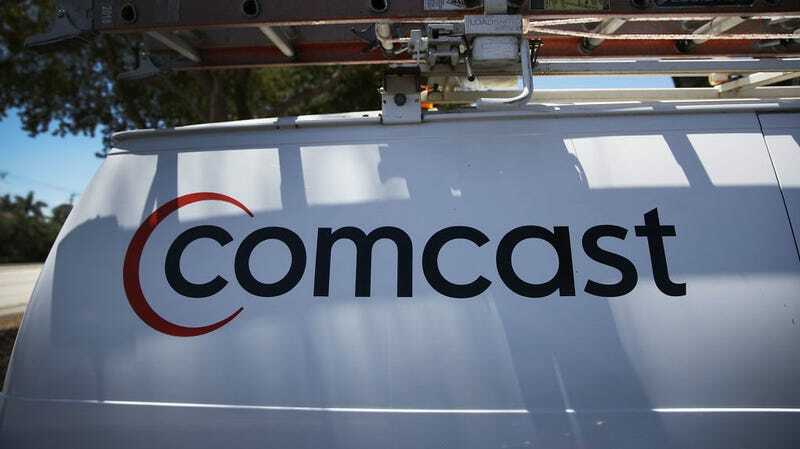 Comcast also refused to offer standalone broadband Internet access service as the FCC condition required. And, of course, we do not even know how many times Comcast’s rivals had to threaten to utilize the arbitration or some other condition to get Comcast-NBCU to limit to some degree its natural proclivity to harm rivals. At least, with conditions in place, some of these abuses could be addressed. The ACA’s request comes at a time when antitrust focus has been trained on AT&T’s merger with Time-Warner. AT&T won the right to go through with the merger in September. Since then, we’ve already seen the combined company announce a forthcoming Netflix competitor, its subsidiaries kill off the beloved FilmStruck streaming service, and use its newly acquired HBO muscle to bully Dish Network. In its letter, the ACA said that Comcast is currently “a much greater threat to competition” than AT&T. Part of the reason is the streaming elephant in the room: Hulu. Hulu has come up in the recent big media mergers because all of the major media companies have a stake in it. AT&T owns 10 percent of Hulu through WarnerMedia, but Comcast holds a whopping 30 percent of the company. “We have heard from ACA members that they fear that ComcastNBCU may restrict, if it is not already restricting, their ability to access Hulu and make it available to their customers as an alternative to their cable offerings,” the ACA claimed. There’s at least one reason to believe that the ACA’s warnings have a chance at prompting a real investigation. The DOJ’s top antitrust cop, Makan Delrahim, was widely expected to be friendly to new mergers before he took office, but he’s shown himself to be taking his official duties seriously. His office still hopes to reverse the court’s decision in favor of AT&T’s , and he needs a win. President Trump tweeting about the letter on Monday probably won’t hurt its chances of at least being considered. Trump appeared to be in favor of blocking the AT&T merger as a way to punish CNN, a news network that he considers an enemy. However, since Trump apparently believes that all but a handful of outlets are his enemy, sticking it to NBC can’t be far from his mind. The DOJ did not immediately respond to Gizmodo’s request for comment. The video programming and distribution markets are incredibly competitive. New programmers and distribution platforms are offering consumers increasing choices on what and where to watch. At Comcast NBCUniversal, we are competing in this dynamic environment the way we always have – by continuing to innovate and conducting our business in compliance with antitrust laws and other legal requirements. Among other things, Comcast Cable has brought Netflix and YouTube to our X1 platform. And NBCUniversal has provided content to Hulu, Netflix, and hundreds of other traditional and over-the-top providers.